Bangkok being the capital of Thailand is not just the urban city it appears to be. In fact, there are hidden historical sites and loads to do in this great city of Bangkok. Here’s how to spend your time in the city without putting much pressure on your wallet. Getting to Bangkok is quite easy especially when there are plenty of flight and hotel packages that are available for most of the year. It is much easier and less expensive to go through travel agencies when it comes to going easy on the money. Good accommodation is available, for example, AVANI Riverside Bangkok Hotel which is a hotel in Riverside Bangkok and many more affordable joints. Sure, taking a ride in the local tuk-tuk is definitely an experience worth having, however, for tourists to frequently use this mode of transport in Bangkok too often would end up in a waste since the meters are not switched on for foreigners. Instead, it is advisable to use apps like Uber and Grab for safe travelling at a fair price. The MRT subway system is the cheapest option and easy to navigate as well. This is certainly an experience you cannot forego when in Bangkok! Walking down the street in the evening, one will be engulfed in the aroma of mouth-watering food form the small street food boutiques that line the roads on either side. Food in these places are pretty cheap and you are sure to get a tasty meal that will fill you up good! There are many amazing landmarks that you simply cannot miss out on! Make sure to visit Wat Pho which is the magnificent temple that is home to the colossal statue of the reclining Buddha! Also, don’t forget the Wat Arun temple as well. Visit the Chatuchak weekend market and find many items that you might want to take home as souvenirs. Have you already learnt a bit about the history of Bangkok and want to know more about the city? Spend some time exploring Bangkok by boat. Many of Bangkok’s popular attractions are around the Chao Phraya Riverside area and easily accessible by boat. Boat travel in Thailand is incredibly cheap! Out of different types of boats that offer different services, guests can select any boat of their preference. There are five types of Express Boat River Taxis. It is the flag colour in each boat that decides the route of the journey and where to stop. The best way to capture the Bangkok riverside by night is to travel with River Cruises while enjoying a candlelit dinner. Those planning to stay in a hotel in riverside, Bangkok can relax and unwind in contemporary accommodation option such as AVANI Riverside Bangkok Hotel. The hotel’s complimentary shuttle boat service transports tourists to discover cultural highlights and major shopping destinations of the city. Waterfront serenity of this tropical hideaway tempts international travellers to stay longer exploring the city of Bangkok. This is a ‘must do’ tour for travellers who like to see traditional Thai lifestyle. You can enjoy lush greenery while cruising along the orchards and small family farms. Have an unforgettable journey in a teak boat! From sun-drenched sandy beaches to long bike rides in Chiang Mai or an electrifying shopping experience in the ultimate Southeast Asian metropolis of Bangkok, Thailand is a place to experience it all. If you are planning your next getaway in this destination, make sure to check these tips. Travelling solo or with the gang? Whether you are travelling with your friends, the warmth of a lover’s embrace or solo, Thailand is ready to offer every ingredient for an ideal holiday; adventure activities, laidback rejuvenation and not to mention many lavish accommodation options. Among these are such properties as AVANI Riverside Bangkok Hotel. 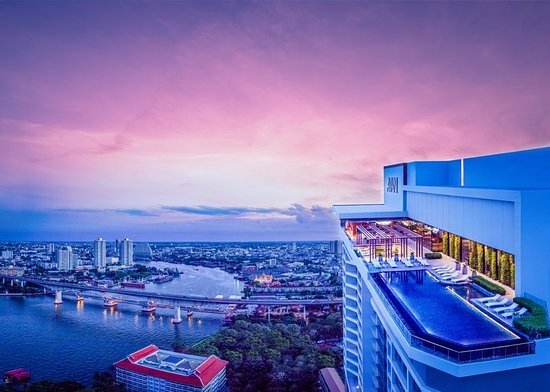 There are few must-do things when in Thailand; stroll through the bustling streets of the city that never sleeps, taste sumptuous local flavours, embark on some island hopping, swim with bottle-nosed dolphins or stay in a lavish hotel in Riverside Bangkok. If sunny beaches and water sports are top of your vacation checklist, visit Thailand during the months of November and April. But make sure you are visiting in time for at least one major festival in Thailand to witness their incredible culture. Although the required vaccinations for visiting Thailand are not specified, make sure you have got the generally recommended vaccinations for those travelling in Asia. Always plan ahead and have a good travel guide (online version or printed copy) if not travelling with a tour group. Damon Starky is a creative nomadic travel writer, who is well informed and experienced on a wide range of interests that would connect to the needs of any type of traveler. Reasons to visit Bangkok – Get ready for a unique vacation experience! Top things to see in Bangkok Riverside – explore away! Copyright © 2019 Bangkok Travel Blog. All Rights Reserved.